When traveling by car, a crate is the safest option for your pet. However, hard-sided crates do not always conveniently fit inside vehicles, and can be difficult to transport. A soft-sided crate, such as the You & Me Portable Canvas Crate, can make life easier. The You & Me Portable Canvas Crate is available in 3 sizes: small (24’’), medium (30’’), and large (36’’). The small crate is the perfect size for a 30 lb dog. The crate is collapsible and has a carrying case, which makes travel especially convenient. 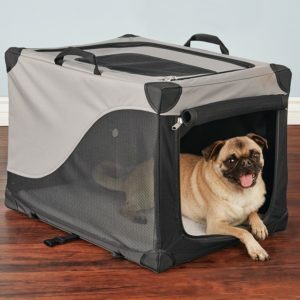 Three sides of the crate have zippered openings, including the top, which allows for your dog’s unique needs to be met. A large pocket on the crate’s exterior is perfect for holding vet records, a leash, a water bottle, or other items. 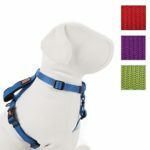 In addition, the crate walls are partialy made of mesh, which provide breathability as well as visibility for your dog. Velcro keeps the roll-flap door open. The You & Me Portable Canvas Crate is great for travel because it is lightweight and easy to transport. When you arrive to your destination you can fold it up and stow it away, out of sight. In addition, this item is a great option for dogs that are reluctant to go into crates, as it has a cozier feel than a hard-sided travel crate. However, while a hard-sided crate might not be convenient, it is still the safest option for travel. The You & Me Portable Canvas Crate will provide more protection in case of an accident than if your dog was loose in the car, but not as much protection as a hard-sided crate can provide. 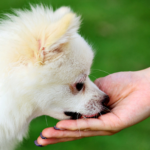 Additionally, the canvas is not chew proof, so it is not recommended for dogs who try to escape their enclosures. The You & Me Portable Canvas Crate is a great option for dog owners who are unable to easily transport a large or heavy crate. 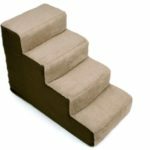 In addition, it is a good option to have in the house as it can be easily moved from room to room and folded flat when not in use. For a dog that needs a quiet place to sleep but is not destructive, the You & Me Portable Canvas Crate is ideal. However, this crate is not recommended for dogs that have separation anxiety. The lightweight frame means that the crate can easily be rolled over if the dog becomes agitated, and mesh could be torn if aggressively scratched. In this case, a wire or hard-sided crate would be the better option. Similar products on the market include the Favorite Top Load Soft Portable Dog Carrier and the EliteField 3-Door Folding Soft Dog Crate. The Favorite product only allows for top loading entrance, while the EliteField product is taller, which might be less convenient for travel. Ultimately, the You & Me Portable Canvas Crate is a great option when traveling by car with a calm pet. 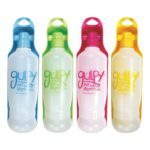 The portability and convenience of this product are unparalleled!